On the evening of Saturday 7th March, I was sitting in my bedroom when I received a tweet. Sadly I couldn’t make it to the UKYABA (UKYA Blogger Awards) ceremony on the evening, but I knew some of my friends were there. I had been shortlisted for the awards, but was sure somebody else would win because I was up against lots of amazing bloggers. The tweet said that I had won an award. I went into total shock. I hadn’t wanted to get my hopes up because there are so many brilliant bloggers in our community that all deserved to win. 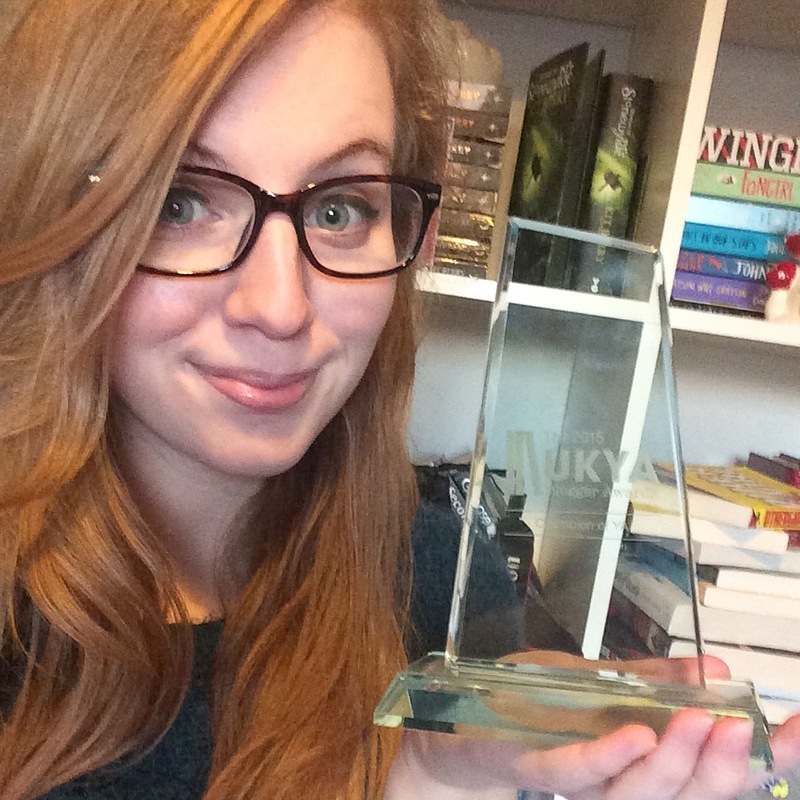 For some crazy reason, though, I was chosen to win the Champion of YA award. I am still completely over the moon! As I wasn’t there to collect the award in person, I thought I’d write out a few thank you’s today. I really hope I don’t miss anyone out! When I started out 3 years ago, I never knew about the wider community. I had no idea I could become so attached to so many people in such a short space of time. In the 3 years I’ve been blogging, I’ve seen our community grow and become stronger, so connected. I’ve always pushed myself to work hard on my blog and to do as much as I can to help out the wider community. I’d like to think that in ten or twenty years when I look back, I’ll still be proud of my achievements and know that I put every single amount of effort I could into it. I’d like to thank my parents mostly, for putting up with me when I abandon them to go to events (and who put up with me when I do idiotic things like stand in cement when I go to those events), for supporting me when I stay up until midnight changing my blog design and I’m grumpy the next day. For standing by me no matter how crazy my ideas become. I’d like to thank the people that take the time to comment on my blog, tweet me, watch my videos… Without you, I couldn’t do ANY of this! You make it all worthwhile and put a smile on my face every day. I have so much love for all of you! Without the UKYA community, I wouldn’t be half the person I am today. My confidence has soared since blogging and I now do things every day that I wouldn’t have dreamed of doing 3 years ago. 3 years ago I wouldn’t have dreamed of going to an event on my own and, God forbid I had to talk to anyone! I would have been hiding in the corner! My life is crazy. I’m currently balancing GCSEs and my blog and YouTube channel, but I love every single second of it. I wouldn’t change it for the world! Thank you, dear reader, for allowing all of my wildest dreams to come into fruition! You mean the absolute world to me. Lucy you are so incredible! How do you balance everything so successfully? Congrats on the “Champion of YA” – you really deserve it! I love your blog (I feel like I don’t say this enough! ).